Are you worrying about whether your child has autism spectrum disorders? Are you finding and collecting all information of ASD (autism spectrum disorders)? So what is autism spectrum disorder? – is this a question that you are finding the answer for it? If your answer is “Yes”, you should read this report from the site VKool.com that will help you identify if your child or someone you know has autism spectrum disorder. ASD (Autism Spectrum Disorder) is a complex developmental disability or neurodevelopmental disorder, which influences how a child processes information as well as sees the world. Autism spectrum disorder can affect to a child’s communication skills, social interaction skills, social relationships, and behaviors in diverse ways and different degrees. According to recent studies, children who suffer from autism spectrum disorder can have repetitive patterns of behavior or restricted interests. In addition, children with ASD have problems with a wide range of social interactions, non-verbal communication, and some activities, which include an element of play or/and banter. Autism spectrum disorder often appears in children from 0-3 year olds. Almost parents can recognize the developmental delays or loss of skills when their children are 15 to 18 month olds. Psychologists indicate that each child can display an exclusive combination of characteristics ranging from high to low functioning forms of autism spectrum disorder. This requires individually determined treatment and educational programs. Autism spectrum disorder can be linked to intellectual disability, difficulties in attention and motor coordination, and some physical health issues including gastrointestinal disturbances and sleep disturbances. However, some people with autism spectrum disorder excel in music, visual skills, math and art. If you are a parent dealing with your child on autism spectrum disorder, maybe you hear many different terms such as atypical autism, pervasive developmental disorder, high-functioning autism, and autistic spectrum disorder. These terms may be confusing, not only because there are so many terms, but because therapists, doctors, and other parents use them in dissimilar ways. Statistics of autism spectrum disorder from the U.S. CDC (Centers for Disease Control) identify about one in sixty eight American children as on autism spectrum disorder – a tenfold increase in prevalence in 40 years. Some careful researches show that this increase is only partly explained by improved awareness and diagnosis. Other studies also uncovers that autism spectrum disorder is 4 to 5 times more common among boys. Researchers also indicate that 1/42 boys and 1/189 girls are diagnosed with ASD in the U.S.
Autism spectrum disorder actually affects to more than 2 million individuals in the United State, and tens of millions worldwide. Additionally, government ASD statistics also suggest that prevalence rates have augmented from 10 to 17 % annually in some recent years. Experts say that there is no explanation for this continuing increase, although environmental influences and improved diagnosis are 2 reasons that are often considered. ASD is the most serious developmental disability in the United State. II. Who Is At Risk? According to a survey made by CDC about health and school for 8-year children in 11 communities throughout the country, researchers indicated that in 2019, the rate of autism spectrum disorder was higher than in past United State. Studies also uncovered that roughly 1 in 68 children, boys faced about 4 to 5 times higher risk than girls. However, some experts disagree about whether this result shows an accurate increase in autism spectrum disorder prevalence. When the earlier studies were finished, guidelines for diagnosis of ASD have changed. In addition, many more doctors and parents now know about autism spectrum disorder, so more doctors have ability to properly diagnose ASD, and parents are more likely to take their child to be diagnosed. These and other changes can help explain a few differences in prevalence numbers. The CDC report even so confirms that in some other recent studies, there are more children who are being diagnosed with autism spectrum disorder than ever before. Children with autism spectrum disorder develop at the different rates in the different areas. They can have delays in learning, language and social skills, while other children at the same age have abilities to walk and move around. Children with autism spectrum disorder might be good at solving computer problems or putting puzzles together, but they can have trouble with social activities including making or talking with friends. These children can also learn a harder skill before learning an easy one. For instance, a child has ability to read long words but he cannot tell you what sound A or B makes. In general, children develop their own pace; therefore, it can be difficult for you to tell precisely when a child will be able to learn a particular skill. However, there are age-specific developmental milestones that are used to measure a child’s emotional and social progress in a few first years of life. Although ASD appears mainly in children, some researches also indicate that teens and adults can have autism spectrum disorder. Autistic adults often are educators, scientists, musicians, artists, and even public speakers. Individuals who suffer from autism spectrum disorder display common problems with social and communication behavior. This can cause difficulties in some areas of life. For example, while the public school’s responsibility is to provide services until an individual with autism spectrum disorder reaches the age of 22, in some severe cases a person with autism spectrum disorder can need full-time residential to care for life. In addition, families of ASD sufferers let them face the challenge of finding employment, living arrangements to match the particular needs of their adult child, as well as finding facilities and programs, which will support these goals. Furthermore, a nurturing environment at work, at home and at school, can help a person with autism spectrum disorder continue studying and developing throughout their lives. Recent reports indicate that some people with autism spectrum disorder (especially with Asperger syndrome or high-functioning autism) have ability to work successfully in some mainstream jobs. Many other people with autism spectrum disorder are able to work in sheltered workshops under the supervision of many managers who are trained to work with people with disabilities. If you want to know what is autism spectrum disorder? And, how to detect it, continue reading the next part of this article. If you want to know more about what is autism spectrum disorder? You should learn about its signs and symptoms. According to recent studies, one of important things you should do as a caregiver or parent is to learn the early signs of ASD and become more familiar with typical developmental milestones, which your kid should be reaching. Children with autism spectrum disorder often have serious problems with emotional, social, and communication skills. These children can repeat certain behaviors and may not want to change in their daily activities. In addition, many children with autism spectrum disorder also have some different ways of paying attention, learning, focusing, or reacting to a few things. Signs and symptoms of autism spectrum disorder start during early childhood and can last throughout a person’s life. A child with ASD has inappropriate or unusual body gestures, language, and facial expressions (for instance, avoiding eye contact, and using facial expressions, which do not match what she or he is saying). Your kid lacks interest in other people, and he or she does not want to shareachievements or interests with other people. For example, your kid does not want to show you a drawing, or point to a bird. Not likely to approach other people or pursue social interactions; a child with ASD comes across as detached and aloof; he or she prefers to be alone. Autism kids have difficulty in understanding other people’s feelings,nonverbal cues, and reactions. Autism kids will have the resistance to be touched. These kids have difficulty in making friends with other children at the same age. He or she responds unusually when other people show distress, anger, or affection. Have a strong need for routines, sameness and order (for example, kids with ASD always line up toys, and follow a rigid schedule). Uneven cognitive abilities – ASD occurs at all intelligence levels. Children with ASD often develop unevenly cognitive skills. With these children, their verbal skills tend to be weaker than their nonverbal skills. Additionally, they typically do well on some tasks includingvisual skills or immediate memory, while other tasks such as abstract or symbolic thinking are more difficult. Emotional difficulties – kids who suffer from ASD will have difficulty in regulating their emotions as well as expressing them properly. For example, a kid can start to cry, yell, or laugh hysterically for no obvious reason. When these children are stressed, they can exhibit aggressive or disruptive behavior (such ashitting others, breaking things, and harming themselves). According to National Dissemination Centers for Children with Disabilities, children with autism spectrum disorder can be unfazed by real dangers such as moving heights or vehicles, yet be terrified of some harmless objects including a stuffed animal. Sensory problems – Many kids with autism spectrum disorder either overreact or under-react to sensory stimuli. Sometimes, these children can ignore other people speaking to them, and even to the point of appearing deaf. Nevertheless, in some other times, kids with ASD can be disturbed by the softest sounds. Researchers indicate that sudden noises including a ringing telephone can make these special kids upsetting, and they can respond by making repetitive noises or covering their ears. In addition, kids with ASD also tend to be highly sensitive to texture and to touch. For example, they can cringe at a pat on the back, and they have a feel of certain fabric against their skin. Sleep problems – kids with autism spectrum disorder always have issues with their sleeps. They fail to fall asleep or stay asleep. These issues make it harder for kids with ASD to focus and pay attention leading to poor behavior and loss of ability to function. Sleep problems of kids with ASD can cause stress for their family, especially for their parents. Learn more: The Top 18 Best And Worst Foods For Sleep. If you want to know what is autism spectrum disorder? And how to diagnose it, let read the next part of this article. Diagnosis of autism spectrum disorder is often a 2-stage process. In the first stage, there is a general developmental screening throughout well-child checkups with an early childhood health care provider or a pediatrician. Kids who express a few developmental problems will be referred for additional evaluation. The second stage includes a thorough evaluation by health professionals or a group of doctors with a wide range of specialties. After finishing this stage, a kid can be diagnosed whether he or she has autism spectrum disorder or not. 1. When Do Doctors Make An ASD Diagnosis? To screen and diagnose ASD, experts including psychologists, speech and language therapists, and developmental pediatricians have to administer a set of tests that are specially devised. These tests involve questionnaires for caregivers and parents, interviews and observations. Experts say that there are no medical tests available to test for ASD. If your kid is over 3 year olds, diagnosticians can ask whether your kid's symptoms manifested before the age of 3. If tests are administered properly to a child whose symptoms showed before 3 years old, and he or her symptoms fit the criteria for ASD, then a diagnosis on the ASD is appropriate. According to the ODC (official diagnostic criteria), a kid is too old to be precisely diagnosed with ASD. It means that if a kid is injured at the age of 2 and 11 months, and acquires autistic symptoms – he or she is autistic. If he or she is injured at 3 years and 1 month, he or she is not. 2. Who Should Diagnose Autism Spectrum Disorder? In theory, pediatricians should have ability to pinpoint red flag behaviors and challenges, which suggest ASD. However, pediatricians only see your kid once a year (if you are lucky), or when your kid is sick. Moreover, even now, with so much awareness of ASD, almost pediatricians have little knowledge and experience of how to screen for subtle developmental concerns. In addition, they generally tend to apply a “wait and see” approach on issues that are not dangerous medically. There are so many possible options, but who will be the right person to diagnose your kid. The answer depends on where your kid lives. You can feel that there is a long wait to meet a developmental pediatrician whilst you may get in to meet a skilled child psychologist almost right away. 3. When Should You Seek An Autism Screening For Your Child? The easy and quick answer for this question is that there is no good reason to wait. If you see any sign that makes you worried about whether your kid has autism, you should make an autism screening for your child instantly. It cannot hurt your kid to be screened for autism disorders. If you have concerns that are legitimate, you should let your child make an autism screening – and if the result is that your kid is just fine, there is no harm done. Before making an autism screening, your first step is to consult with a pediatrician. You can ask him or her for a referral to a local hospital or clinic program, a neurologist, or a developmental pediatrician who has professional skills and significant experience in testing and diagnosing developmental disorders. In addition, your own pediatrician will help you find out an early intervention program, which offers a multi-disciplinary evaluation free of charge. Begin with your pediatrician. She or he can have a terrific list of names, and even can help you gain an appointment fast. Check with your regional agencies or school district and you can find free or low-cost options that are available to you. Surf the web: In case parents of child with ASD live outside a major city, they can find terrific resources, which their suburban sources know nothing about. Well-child checkups should involve a developmental screening test, and a specific ASD screening at the age of 18 to 24 months as recommended by AAP (the American Academy of Pediatrics). Screening for autism spectrum disorder is not the same as diagnosing autism spectrum disorder. Screening instruments are often used as the first step to tell the pediatrician whether a kid needs more testing. If your kid’s pediatricians do not routinely screen your kid for autism spectrum disorder, ask that it be done. For parents of children with ASD, their own experiences and concerns about their children's development will be more important in the screening process. They should keep their own notes about their kid’s development and look through family photos, videos, and baby albums to help them remember when they first noticed each behavior and when their kid reached certain developmental milestones. Experts say that the second stage of diagnosis have to be thorough in order to find if other conditions can be causing your kid's autism symptoms. To make a comprehensive diagnostic evaluation, it is necessary to have a team that includes a speech therapist, a psychiatrist, a neurologist, a psychologist, or other professionals experienced in diagnosing autism spectrum disorder. The evaluation can assess a kid’s language level, cognitive level (thinking skills), and adaptive behavior (adaptive behavior is an age-appropriate skill needed to complete all daily activities independently, for instance toileting, eating, and dressing). Because autism spectrum disorder is a complex disorder, which occurs along with some other illnesses or even learning disorders, a comprehensive evaluation can involve the brain imaging and gene tests, together with problem-solving, language, and in-depth memory testing. Kids with delayed developments need to have a hearing test as part of making a comprehensive evaluation. Experts say that the comprehensive evaluation process is a good time for both caregivers and parents to ask their questions and get advice from a whole evaluation team. In addition, the outcome of this evaluation can help caregivers and parents plan for treatments and interventions to help their children. Parent interview – In the first step of the comprehensive diagnostic evaluation, parents will give their doctor the background information about their kid’s behavioral, medical, and developmental history. If parents have been keeping a journal and taking notes on anything, which concerns them, turn over that information. In addition, pediatricians will want to know about the family’s mental and medical health history. Lead screening – the NCEH recommends that all kids with delayed development should be screened for lead poisoning, because lead poisoning may be a main factor that causes autistic-like symptoms. Observation– some developmental specialists will observe your kid in a variety of settings to look for his or her unusual behaviors associated with ASD. Developmental specialists will watch your kid playing or interacting with others. Hearing test – researchers indicate that hearing problems may result in language and social delays, so hearing problems need to be excluded before diagnosing autism spectrum disorder. Your kid will experience a formal audio logical assessment where she or he is checked for any hearing impairment and any sound sensitivity or hearing issues, which sometimes co-occur with autism. Medical exam – a medical evaluation involves a general neurological and physical exam, a genetic testing, and lab tests. Your kid will undergo this comprehensive screening to find out the cause of his/her developmental problems as well as identify any co-existing condition. Language and speech evaluation – speech pathologists will evaluate your kid's communication and speech abilities for warning signs of ASD, and look for any indicator of specific language disorders or impairments. Cognitive testing – your kid can be given an informal cognitive assessment or a standardized intelligence test. This cognitive testing will help differentiate autism spectrum disorder from other disabilities. Adaptive functioning assessment – with applying this type of assessment, your kid can be evaluated for his/her ability to problem-solve, function, and adapt in his/her real life situations. This can involve testing verbal, social, and nonverbal skills, and the ability to do daily activities including dressing and feeding himself or herself. Sensory-motor evaluation – experts say that since sensory integration dysfunction usually co-occurs with ASD and may be confused with it, a occupational therapist or physical therapist can assess your kid's gross motor, fine motor, and sensory processing skills. You should read the next part of the report – What Is Autism Spectrum Disorder? To discover which factors cause ADS. Many researchers and experts are beginning to identify particular genes, which can increase the risk for autism spectrum disorder. They have had some successes in finding precisely which gene is involved. However, having increased genetic risk doesn’t mean a kid will certainly develop autism spectrum disorder. Wide ranges of researchers are concentrating on how various genes interact with each other. You also pay attention to environmental factors to understand more about how they can increase the risk of autism spectrum disorder. In medicine, the “environment” factors refer to anything outside of your body, which can affect to your health. Environmental factors include the water you drink and bathe in, the air you breathe, the medicines you take, the food you eat, and many other things that your bodies can come in contact with. Furthermore, environmental factors also include your surroundings in the womb, when your mother's health affects directly to your earliest development and growth. Actually, scientists are studying a wide range of environmental factors including complications during birth or pregnancy, family medical conditions, exposure to toxins, and parental age and other demographic factors. Moreover, scientists are also studying which environmental factors can affect to certain genes—turning them off or on, or decreasing or increasing their normal activity. Scientists do not know the accurate causes of ADS (autism spectrum disorder), but a lot of researches suggested that both environment and genes play important roles. Rett syndrome and childhood disintegrative disorder are other pervasive developmental disorders for the reason that both of them are rare genetic diseases extremely, they can be considered as separate medical conditions, which do not truly belong on the autism spectrum. Although 3 ASDs share many of the same signs and symptoms, they differ in their impact and severity. Autistic disorder or classic autism is the most severe condition of ASDs. Milder variants are Asperger’s syndrome that sometimes is called PDD-NOS, high-functioning autism, or a typical autism. In addition, according to the ASRC, only 20 percent of people on autism spectrum suffer from classic autism. The overwhelming majority falls somewhere on the milder range of the spectrum. ASD helps parents be a more patient person: you can easily get frustrated with your child who chooses not to listen and follow through on directions. You can also get angry with your child who cannot process your directions, physically manipulate small objects, or think through simple steps required to do the work. However, with an autistic child, you have to stop, think, take things in small steps, and provide supports. This helps you be more patient. It teaches parents how to manage the system: when you have a child with ASD, you can think much more things such as social security, school-based entitlements, medical insurance, and other complex financial topics. You can be forced to learn about what's useful, what's available, and how to get it for your families. This is knowledge and awareness you get when taking care of a child with ASD. Loneliness: Parents of a child with autism spectrum disorder are forced to the sidelines in very ways. For example, their child is not on the soccer teams, inviting friends for play dates, or performing in the dance recitals. They cannot hang out with other parents while their kid plays. They cannot attend loud and big family events and expect a low-key, fun experience. In short, it is lonely and alienating to be a parent who never has ability to just say “yes” to friendship and fun. The media: each day there is a new story about causes as well as cures for ASD. Which bandwagon do you need to jump on? Is there a new method to treat ADS for your child? The media provides you with a lot of uncertain information that can make you stress. Other autism parents: although getting a support from other autism parents is good for you because they can indoctrinate their point of view on autism, sometimes, they can make you confused and stressed. Extended family: At every visit, your mother will have another pile of “useful” articles on some “magical” treatments for your kid’s autism. In the meantime, your father will have no clue how to interact with your kid, and do his best to stay away from interactions of any kind. In addition, your sister can have great advice on how to raise your kid on some special supplements, whilst her husband can be worried that his child will “catch” ASD from your child. You will have stress if you have to suffer from every visit of your extended family. Relationship issues: some relationship problems can occur between you and your partner when having a child with autism. For example, you want to send your autism son to a private school. His father wants him to learn at public school. Your husband is too busy at work, and he does not have time to take his child to therapies, so you wind up cutting down on your work hours and missing your career opportunities. This will make you more stress. Uncertainty: a few parents of autism children do not have any helpful information about what can help their kid the most, how far their kid will come, and what sort of outcomes to expect. They also are worried about which available therapies are good for your autism kid. No one knows. In addition, these parents have questions that no one knows and answers them such as how their autism children will learn to speak, how their autism children make friends, how their autism children will graduate high school, and how their autism children go to college, get married, and hold a job. No one knows, so it is impossible for you to plan or even think clearly about the long-term future. Anxiety and guilt: There is a lot of information on the websites that suggest that in some ways, parents are responsible for their kid's ASD, they could prevent or cure it, or they should provide more and more treatments for their kid. In fact, no one can do it all, however, that does not mean you do not feel you should. You should talk about your stress with someone you like. Money: Even you can get the support from some insurers or your family for some ASD treatments, but you are spending far more than you can afford on ASD treatment. Money also is considered as one of the main factors that cause stress. 3. Are You To Blame For Your Kid's ASD? The first reason: many parents may feel that their genetic legacy is the problem when they see autism symptoms in their family. Certainly, this is perfectly possible, because autism runs in families. However, parents do not have ability to control the genes they pass along. A person can decide not to have a child at all, and give genetic flaws in one's heritage; nevertheless, this will certainly prevent the increased number of children in the world. The second reason: so many people seem to feel guilty about autism their kid is suffering. This links to the belief that something dad or mom directly caused ASD in an otherwise healthy kid. This concern seems to be much more serious, because it implies that dad, mom or both could prevent ASD if only they had taken or avoided a specific action. In addition, the media around ASD certainly supports this idea. After reading effects of a child with ASD on the family, do you get more details about what is autism spectrum disorder? Now, let try discovering which treatment is best for autism kids in the next part. Ask if you do not know how to communicate: people who are hard or deaf to hear, may prefer to communicate by using lip reading, sign, or a picture board. For example, some people with ASD cannot use spoken words; however, they can use a spelling board, an iPad with pictures, or sign. Slow it down: When communicating with a person with ASD, you can imagine that you are speaking to a non-native English speaker who cannot speak English fluently. This takes you a little extra time to explain the words into ideas, and then make sense of those ideas. Check to be sure you have been heard and understood: you can assume you have been heard and understood. You can also ask a person with ASD to repeat the gist of your message to be sure it really made sense to her/him. Be respectful and appropriate: you should speak in a style and tone that is appropriate to the individual's age. You can communicate about topics, which are appropriate based on your relationship. Learn more: Children Learning Reading Book – a guidebook that teaches children how to read in a relatively short period of time. Many parents worldwide have used it to improve their child’s reading skills. ABA-Based Interventions (Applied Behavior Analysis): the goals of applied behavior analysis are to reinforce and shape new behaviors including learning to play and speak, and then reduce undesirable ones. ABA based interventions include pivotal response training and verbal behavior. Individual, Developmental Difference, Floortime Model/Relationship-based (DIR): this type aims to build meaningful and healthy relationships and abilities by following the natural interests and emotions of a child. TEACCH: this type emphasizes adapting a kid’s physical environment as well as using visual cues (for instance, have classroom materials obviously located and marked so that learners can access them independently). Interpersonal Synchrony: this type aims to imitation and social development skills. It focuses on teaching learners how to maintain and establish engagement with others. Health consultants and experts recommend that kids should receive a wide range of vaccines early in life to protect them against dangerous diseases including measles. Since doctors in the U.S gave vaccines during regular checkups, they observed that the number of kids becoming disabled, getting sick or dying from dangerous diseases has dropped to almost zero. A wide range of recent researches suggest that a woman may reduce the risk of having a kid with ASD by taking prenatal vitamins that contain folic acid. 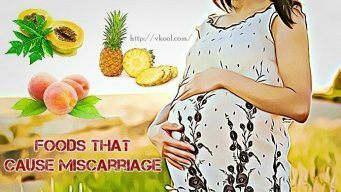 They should also eat a diet that is rich in folic acid (at least 600 mcg a day) throughout the months before and after conception. Antipsychotic medications: for example, schizophrenia, a medication that helps reduce hyperactivity, repetitive behaviors, and attention problems. Antidepressant medications (sertraline (Zoloft) or fluoxetine (Prozac)): these medications help reduce repetitive behaviors. Stimulant medications: for example, methylphenidate (Ritalin), a medication that is safe and effective in curing people with ADHD (attention deficit hyperactivity disorder). This medication can also help treat hyperactivity in kids with ASD effectively. After reading my overview of What Is Autism Spectrum Disorder, I hope that it helps you understand more about autism spectrum disorder and its effects on human health. I also show you a wide range of information about ASD such as causes, signs, symptoms, treatments, diagnosis, and more. A collection of the above necessary information will help you understand exactly what is autism spectrum disorder? This post is part of a series about home health and proven treatment methods. Got a question? Need answers? Leave a comment below. Now are you ready to test your kids and tell if they have autism spectrum disorder?